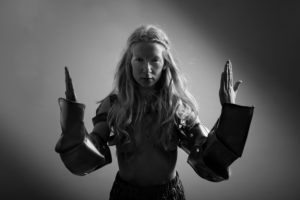 IONNALEE is both a new start and the continuation of a story that began with IAMAMIWHOAMI. 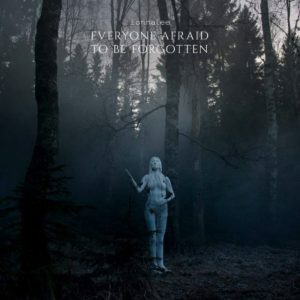 After three enticing bodies of work in ‘Bounty’ , ‘Kin’ and ‘Blue’ since 2009 with producer Claes Björklund, Swedish singer / songwriter / producer / filmmaker Jonna Lee presents her solo album ‘Everyone Afraid To Be Forgotten’ . But Claes Björklund has not gone entirely with the self-produced album mixed by him under his BARBELLE moniker. Accompanied by films directed by Lee and John Strand, ‘Everyone Afraid To Be Forgotten’ is assembled with a companion audio / visual experience. Although as enigmatic and delightfully odd as IAMAMIWHOAMI, IONNALEE is Jonna Lee’s attempt to be more upfront and less abstract than in the past. No doubt buoyed by the success of touring with RÖYKSOPP, guest contributors such as Jamie McDermott of THE IRREPRESSIBLES, COM TRUISE and TR/ST figure on ‘Everyone Afraid To Be Forgotten’. The first track presented for the project in March 2017, the stuttering presence of ‘Samaritan’ saw Lee caught passionately in an almost Nordic rap delivery of literally tens of syllables. Meanwhile, the haunting crystalline arpeggio of ‘Simmer Down’ welcomed a more stripped down introduction before the stop/start song launched into a driving percussive cacophony of bass squelches and pronounced vocals layers. Trailed by this staged online presence, it was actually difficult to see the join with IAMAMIWHOAMI. This was most apparent on the glorious ‘Not Human’ which unveiled itself in June 2017. Co-written with synthwave exponent COM TRUISE, there were still the icy electronic soundscapes, spacey dance beats and uplifting Scandipop vocals associated with her IAMAMIWHOAMI output. But the seamless development appealed to anyone remotely enticed by Jonna Lee’s vocal presence as she announced “the urge is animal, I’m not human”. In duet with fellow RÖYKSOPP collaborator Jamie McDermott, ‘Dunes Of Sand’ was a widescreen duet that screamed of Scandinavian shorelines with an unexpectedly trancey tempo change in the final quarter. ‘Work’ explored brassier aesthetics at its start before pulses and beats led it to a kooky orchestrated drama. But the eerie presence of ‘Joy’ provided more mystery, gently paced before it expanded in volume and intensity. And while initially more sedate and subtly rhythmic, ‘Gone’ eventually mutated into what CHVRCHES might have sounded like had they been raised next to the Gulf of Bothnia. 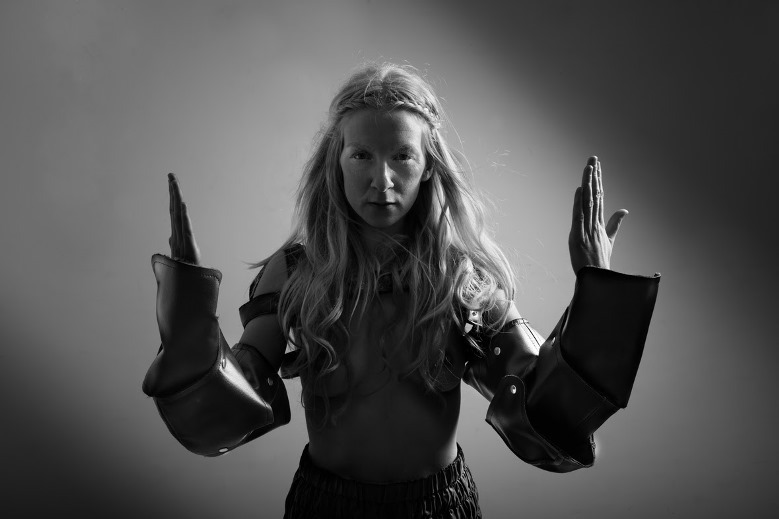 Despite half the album already previewed online, IONNALEE does offer further gifts from the serene building opener ‘Watches Watches’ and the paradoxically pretty ‘Like Hell’, to the ornate surroundings of ‘Temple’ and the sparse neo-acapella drama of ‘Here Is A Warning’. ‘Blazing’ offers some stranger things as chipmunk voices, drones and a deadpan demeanour weld together, while on ‘Memento’ with BARBELLE, cello samples and mournful synths shape a much doomier soundscape. But the mood changes on the frantically paced ‘Harvest’ with TR/ST; it is a mighty album highlight with Robert Alfons restraining his usual “Eeyore gone goth” delivery to compliment Lee’s angelic tones and the lovely pipey synth counterpoints in the track’s second half. Perhaps best of all is the marvellous closing number ‘Fold’, featuring exotic cascading timbres and spacey pulsars while distorted string synths add the appropriate chill as Lee’s passionate vocals complete the filmic vibe. Much anticipated, ‘Everyone Afraid To Be Forgotten’ is easily equal to Jonna Lee’s work with IAMAMIWHOAMI. Although wanting to be more personal and less mysterious, IONNALEE’s first album is still a spacey immersion into another world with just the right level of disconnect for a wonderful escapist experience.